FinTech is a lucrative, yet quite saturated market. In order to stay competitive, businesses should keep track of the emerging trends and be able to capitalize on them before their competitors do. Artificial Intelligence is currently among the most promising FinTech trends. Leading financial brands such as Capital One, MasterCard, as well as hundreds of startups have set the pace for the adoption of virtual financial advisors. If you want to stay ahead of your competition or simply explore the opportunities for AI in fintech, this article is for you. Here is a brief overview of the existing AI-powered personal finance apps as well as some useful tips on how to develop one. The recent shift in consumer behavior triggered a new wave of innovation across major industries. Traditional business models and strategies are being replaced by more customer-centric, personalized, data-driven approaches. While such industries as retail and travel have been paving the way for AI adoption, finance technologies are already catching up. Namely, PWC research finds that 30% of large financial institutions are currently investing in AI. Moreover, AI-focused fintech startups have attracted overall higher investments with an average of US$1 billion in investments over the last two years. There are many ways to apply artificial intelligence and related technologies in the financial domain: from fraud detection algorithms and anti-money laundering patterns to automated trading and 24/7 personalized financial assistance. The latter can be achieved with a complex combination of data analytics, natural language processing, and machine learning wrapped in a conversational interface. Often referred to as chatbots, such AI-powered virtual assistants, as a fintech trend, are widely used in personal finance apps. A survey conducted by Personetics further proves the potential of this trend. Namely, three out of four financial institutions surveyed view chatbots as a lucrative investment opportunity which should be pursued within the next 1-2 years. As a result, the share of transactions handled by AI agents is expected to grow substantially in the coming years. In the sphere of personal finance, robo advisors are expected to manage about $8 trillion by 2020. Let’s take a closer look at the major use cases for AI-powered chatbot apps in the finance industry. These are probably the most widely used and the most important functions a finance chatbot can perform. The examples of such products are quite numerous. Cost and monetization model: The app is free to download and use. The company monetizes the app through partnerships and referrals. 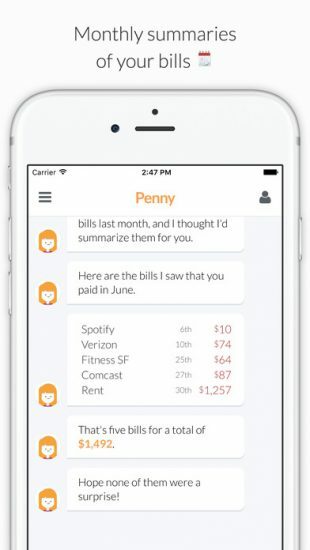 Penny app is one of the most popular solutions in this area. 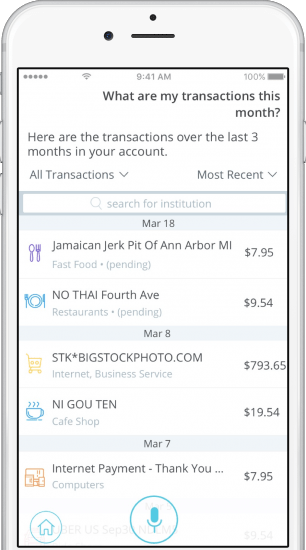 By connecting it to your bank account(s), you can instantly get tailored insights into the current state of your finances, transactions history, and even forecasts. This free to use chatbot app has a clean, intuitive interface and extremely human-like conversational skills. Moreover, Penny provides “bank-grade” security with an SSL 256-bit encryption and Touch ID authentication. 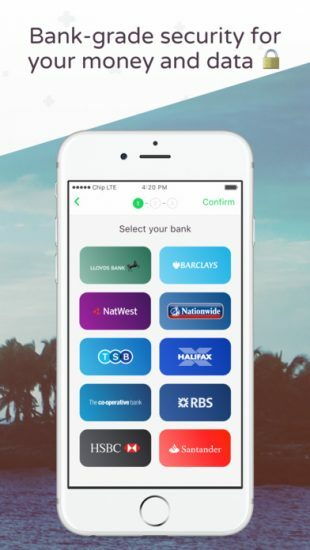 Target platforms: third-party add-on for banking apps. Cost and monetization model: The technology is sold as a subscription-based service for banks and financial institutions. 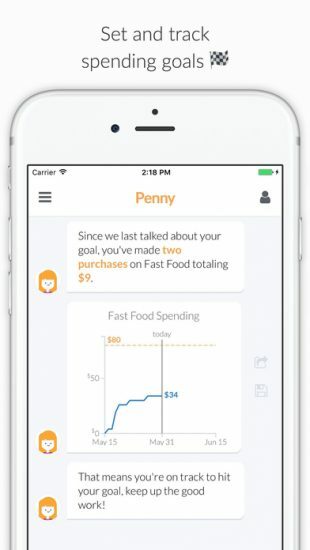 Another outstanding example of a personal finance management chatbot is Finie. 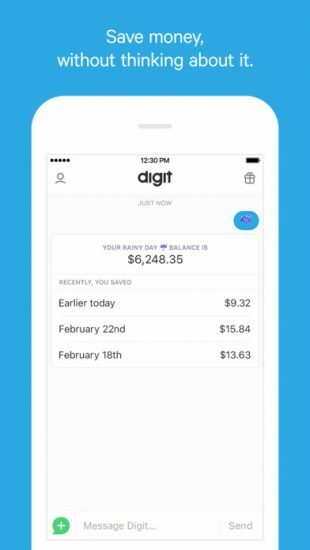 Based on the Clinc AI platform, this personal finance assistant is somewhat different from the Penny app. The technology allows a user to access information about their financial accounts through a voice interface. Moreover, Finie has deep learning and advanced NLP capabilities, thus it is able to recognize and understand complex queries, not just standard questions. 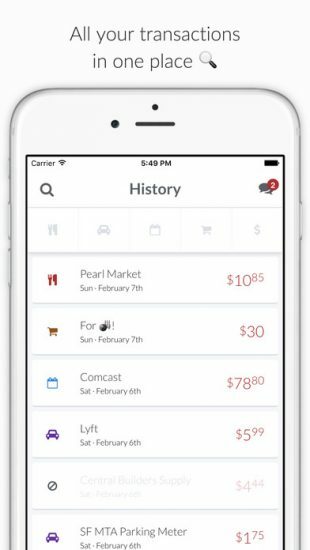 Another integral part of any personal finance chatbot app is the ability to keep track of your expenses so that you can plan your spending accordingly. Target platforms: Facebook Messenger, text messages, Amazon Alexa, and Google Assistant. 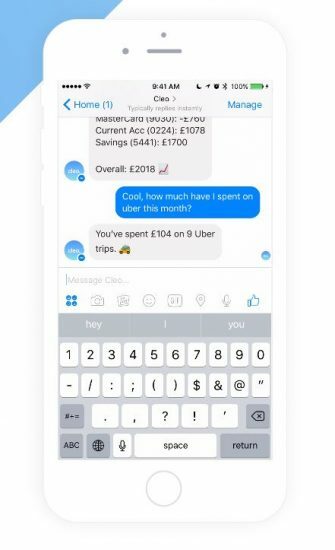 Cost and monetization model: The chatbot is free to use and doesn’t sell their customers’ data. Instead, the company is planning to offer their own financial products. Cleo handles both tasks seamlessly. 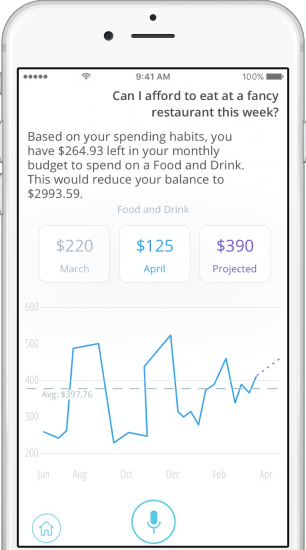 This chatbot provides detailed reports about a user’s spending habits and trends, allowing them to set realistic budgeting goals. 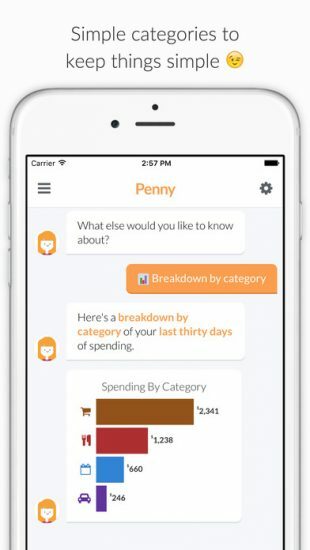 Advanced analytics allow the chatbot to make tailored recommendations on how to budget better while custom reminders and alerts help a user stay on track. 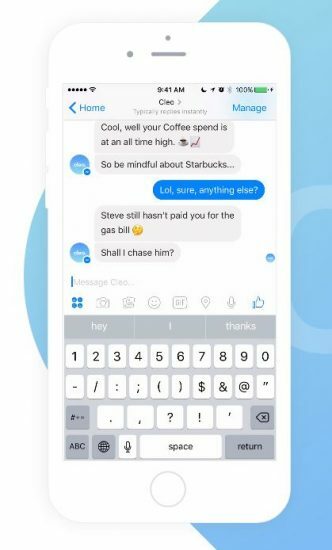 Cleo can be accessed through Facebook Messenger and integrates with Amazon’s Alexa and Google Home. Cost and monetization model: Referrals, target offers (tailored and relevant ads). 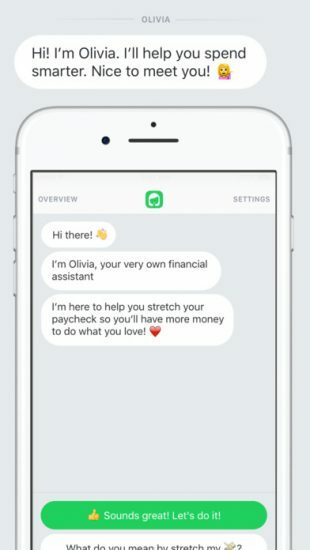 Another personal AI assistant, Olivia, is a standalone chatbot app (currently, the open beta version is available on iOS only). 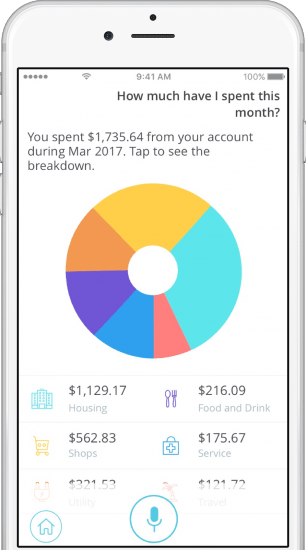 Positioned as a “financial assistant that helps you stretch your paycheck,” the app focuses primarily on budgeting and smarter financial management. 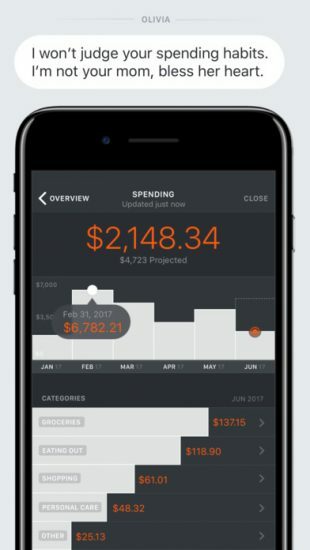 A user can consult with the app when it comes to any purchase: Olivia can tell exactly how much a user can afford to spend every day/week/month (based on their budget and savings goals). Opportunity: Most budgeting chatbots seem to fail when it comes to people with no regular income (freelancers, for example). 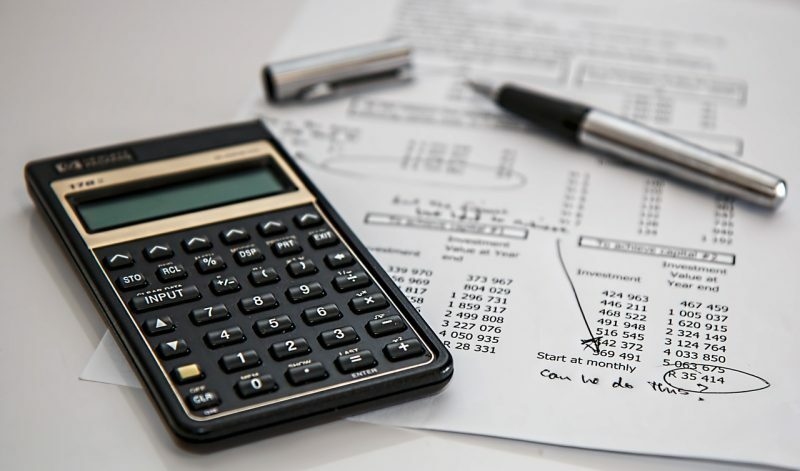 Being able to unveil the trends in financial activity and predict/adapt to their changes is crucial for effective budgeting products in the future. Tied closely to the previous feature, the ability of an AI agent to set the user’s spendings on autopilot can also be a crucial part of a successful personal finance chatbot. Cost and monetization model: A free 100 day trial period, afterwards – subscription-based model ($2.99 per month). 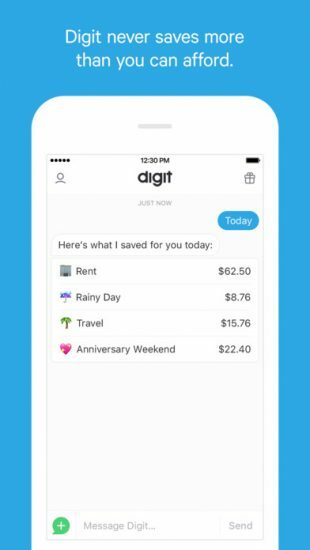 For example, Digit app connects to your bank account(s) and analyzes your income and spending data. 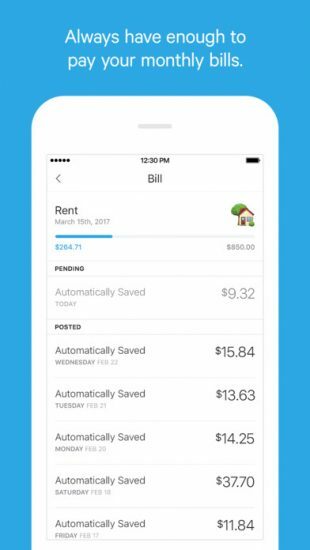 Based on these insights into your finances, the app then automatically identifies when and how much can be safely saved (without going into overdraft). The money is safely stored in your personal Digit savings account (with a 1% annualized savings bonus). Any amount of the saved money can be withdrawn at any time with a single text query. The startup has scored over $36 million so far from a number of leading investors, including Google Ventures. Cost and monetization model: The app is free to use. 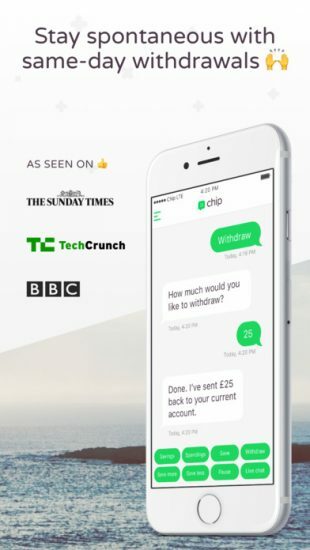 Chip is another finance chatbot app with a focus on savings. 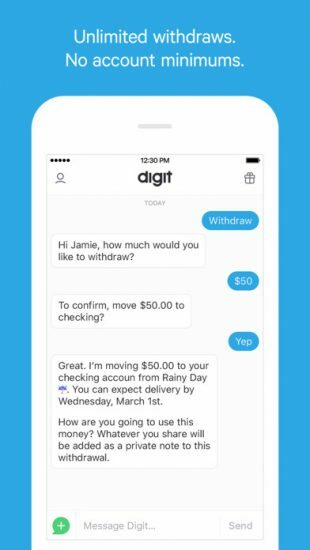 While the savings process is completely automated and relies on AI (similar to Digit), a user can instantly check their savings account balance, or withdraw funds with a simple chat command. Yet, unlike Digit, Chip offers flexible interest bonuses: With every referral you can earn a 1% bonus (up to 5% in total). 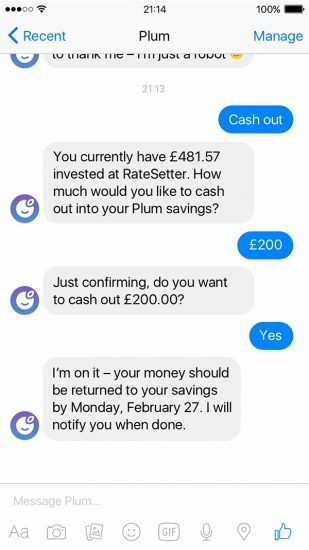 Opportunity: AI-assisted overdrafts management is another opportunity for micro-saving chatbots. Notifying the users about possible overdrafts, tracking upcoming payments or pending transactions that might cause an overdraft, might be a valuable addition to your product. 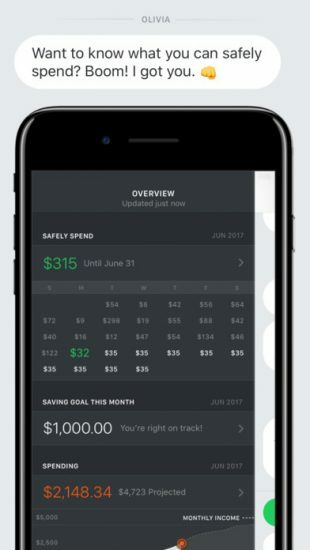 Many personal finance chatbot apps offer users additional ways to grow their wealth (in addition to interest bonuses on saved money). The so-called micro investments can also be set on autopilot by AI-powered agents. 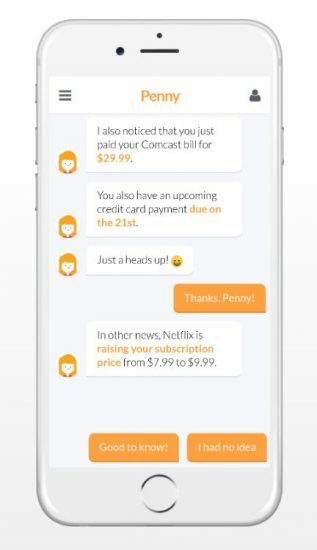 Cost and monetization model: The chatbot is free to use. 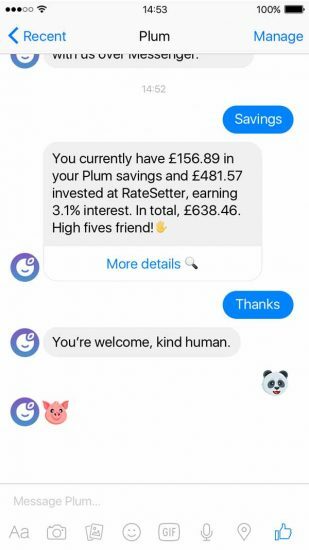 An example of a savings-focused finance chatbot offering this capability is Plum, a Messenger chatbot founded by the former Head of International at TransferWise, Victor Trokoudes. 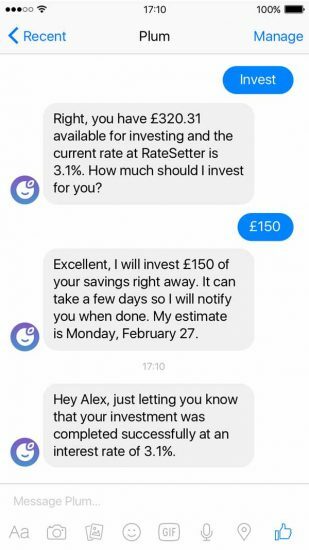 The app allows a user not only to save money through automated withholdings, but to put it to work by safely investing small amounts of it on RateSetter, one of the biggest peer-to-peer lenders in the UK. Just like savings and withdrawals, its investment capability can be accessed with a single text command using a familiar Messenger interface. The startup is quite new, yet the adoption has been impressive so far. The app was launched in January 2017 with 5,000 users in the waitlist. Ever since then, the numbers have been growing steadily by 25% month to month. Opportunity: While the idea of putting your saved money to work is appealing, chatbots can be used to automate the “traditional” investment and portfolio management as well. By using AI to calculate the risks and recommend the right investment opportunities at the right time, you could give the users an opportunity to invest small amounts of their own money (not just the money in their savings account). 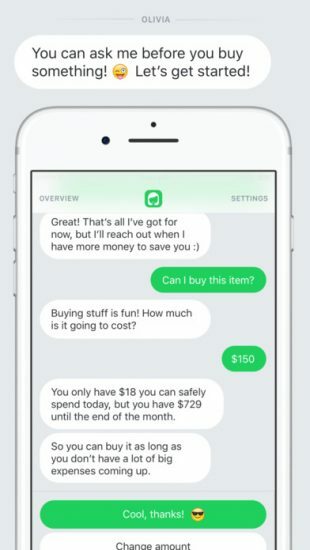 Similarly to transferring money to an internal savings account, some chatbot apps allow you to make peer to peer payments. 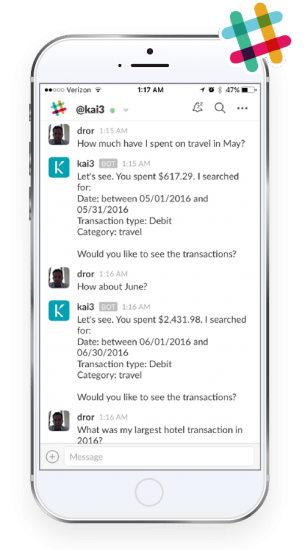 Target platforms: A third-party add-on for banking apps (KAI Banking on Mobile); A white-label solution for messengers (KAI Banking on Messaging); A consumer-facing product (MyKAI) that works with Facebook Messenger, SMS, and Slack. Cost and monetization model: The consumer product is free to use. The product is monetized through partnerships with financial institutions. 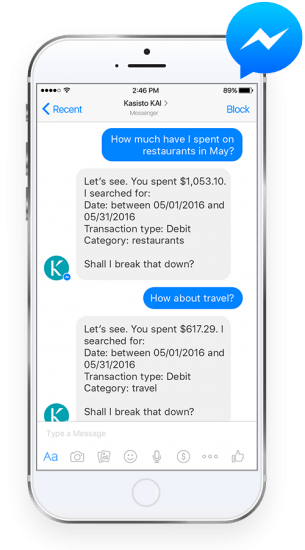 One example of such an app is MyKAI, a chatbot based on Kasisto, an industry-specific conversational AI platform. 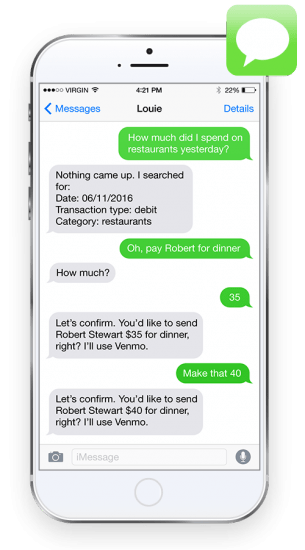 Using Facebook Messenger, SMS, or Slack, a user can get instant access to their bank account(s) and transfer money to other users with a simple text command. The payments are processed using the chatbot integration with Venmo. 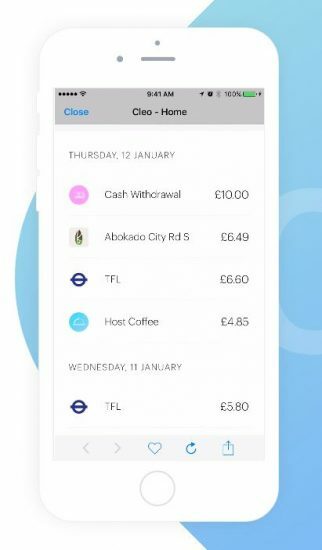 Another product in this sphere is represented by a leading fintech startup TransferWise. 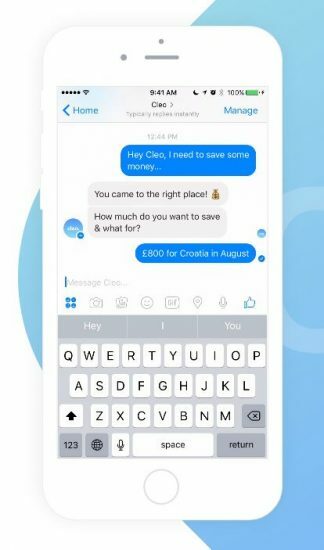 The company has recently introduced its own chatbot for Facebook Messenger, the TransferWise bot. 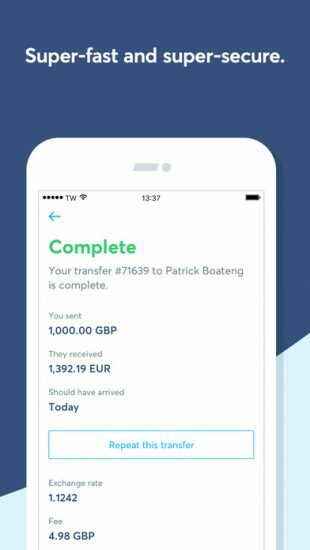 As the company’s Head of Global Partnerships, Scott Miller, stated in the press release, “Our mission at TransferWise is to bring faster, cheaper, and more convenient international money transfers to everyone in the world. 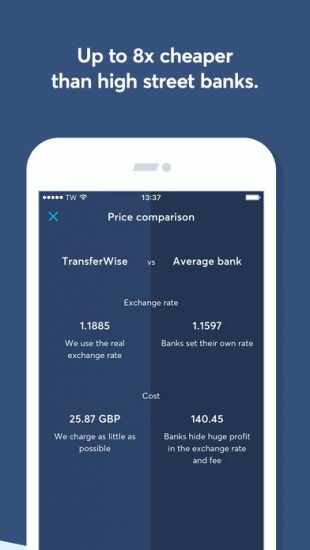 Building the TransferWise bot for Messenger is a great step in that direction”. Opportunity: Given the growing trend for “social payments,” the chances are, most of the personal transactions will soon be handled through messaging apps. Chatbots can help users automate this process and further simplify it. With the advances in AI technologies, smart financial assistants are expected to become an integral part of our day to day life or completely replace traditional personal financial management. Offering a huge number of benefits such as reduced operating costs and an overall better customer experience, more financial institutions and startups will be betting on this fintech trend. If you want to join the chatbot revolution, here are several tips to consider. Choose a proper target platform (a website add-on, a standalone mobile app, Facebook Messenger, Amazon’s Alexa, etc.) 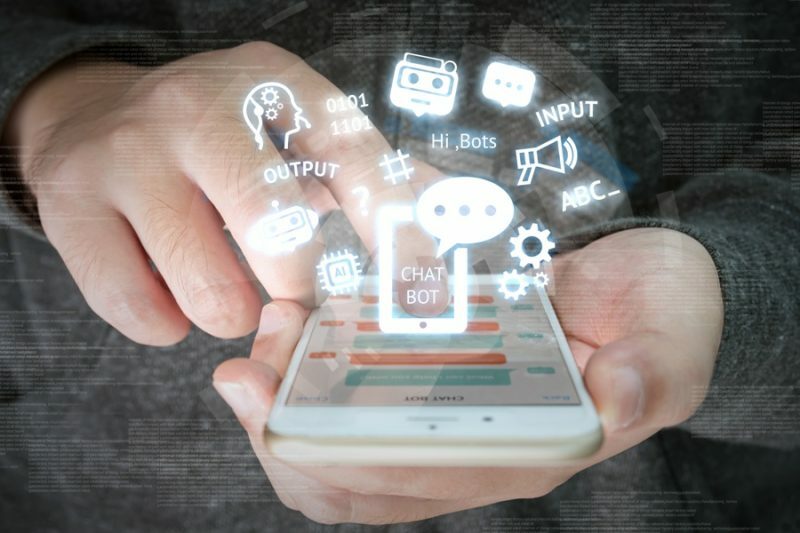 While chatbots targeting third-party apps like Messenger or Slack are easier and cheaper to build, custom chatbot apps offer more flexibility and better scalability options. Provide personalized, human-like user experiences. Interacting with your chatbot should be as close to communicating with a real person as possible. Make sure your bot understands natural language and is simply fun and engaging to use. Be useful. If you are offering the same features that other apps already provide, strive for a better user experience or performance. Make sure your chatbot stands out among the competition and adds real value. Get smarter. Utilize the power of machine learning and customer data to continuously improve your product’s capabilities. The chatbot needs to keep up with and constantly adapt to the incoming information. 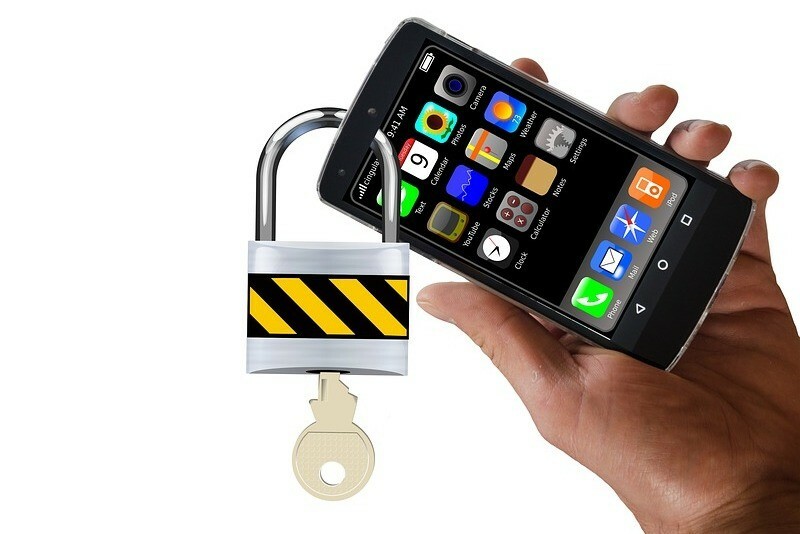 Prioritize security. 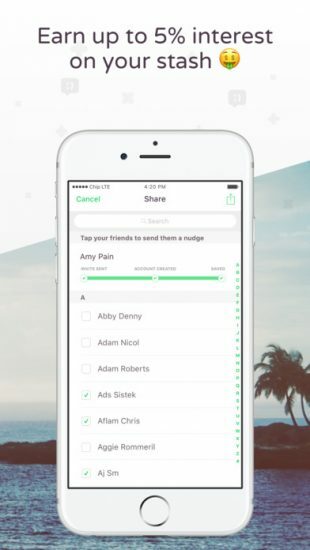 This is a must-have for any app that deals with finances. Thus, you need to apply bank-level encryption, advanced authentication methods, and other layers of security to keep your users’ data secure. If you want to build a finance chatbot app, finding a reliable and experienced technology provider is a must. Having worked with some some of the leading financial companies, including Western Union, we at Eastern Peak have the relevant experience and required skills to help you implement your ideas. Contact us now for a free consultation. The post Chatbots and AI – the Fintech Trends to Watch appeared first on Eastern Peak. Submit your speaking proposal ▸ Here or by email [email protected]po.com. Valeriia Timokhina is a blog editor and IT manager at Eastern Peak, a top-ranked custom software development company. Founded in 1999, PEAK-System is a leading provider of hardware, software, and services for the mobile and industrial communication sector with emphasis on the field busses CAN and LIN.